Loosing a loved one is by far the most difficult time in anyone’s life, especially when the death of that loved one is sudden and unexpected. It is important though that even during this time of great sorrow, that you protect your legal rights. As surviving family members, you may have the right to recover for your tragic loss. As a surviving spouse, you may be entitled to economic and emotional damages for your loss of financial support, services, love and affection. 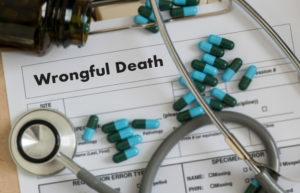 If you believe that your loved one was wrongfully killed, whether it is your spouse, parent, or relative, call us now and we will zealously advocate for justice for you and your family.